Fall in love with the Chemex coffee maker. Chic style and classic bold flavors are just two of many characteristics of this beloved 1941 invention. 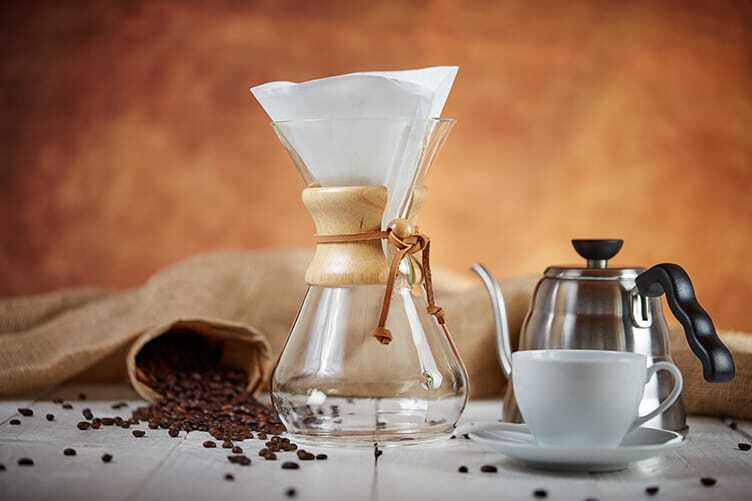 Half a century after its creation, the Chemex Coffeemaker has become a commonplace household item for caffeine-dependent households around the globe. Peter Schlumbohm loved to invent. Schlumbohm, a German chemist, applied for patents for hundreds, if not thousands of inventions, from writing utensils to unburnable gasoline. The Chemex, his most iconic creation, took years to perfect. Clearly, the chemist was determined to make an object of beauty. It was slightly more complicated than what the Chemex looks like today. Back then, in the early 1940s, it had a spout and a handle. He believed his new device could be used for a variety of purposes, including experiments in his laboratory. 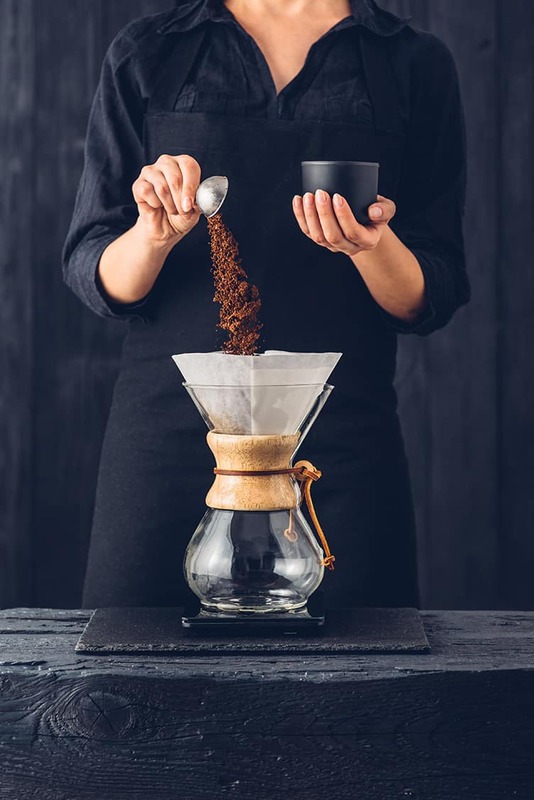 Schlumbohm’s sleek design became a permanent feature at many museums, including the Museum of Modern Art in New York City and the Smithsonian in Washington D.C.
What is a Chemex Coffee Maker? A Chemex is a one-piece, hour-glass-shaped vessel that has a wide-mouthed funnel. Some Chemex come with a neckpiece that is adorned with a wood collar and leather tie for easy handling. The only additional accessories required to use a Chemex are filters. The Chemex requires a manual, pour-over process. This process and the resulting taste are often compared to making drip coffee. Place a scale underneath the vessel. Heat water just past boiling, around 205 degrees. Start with six tablespoons of freshly ground coffee. Choose a slightly coarser grind than if preparing beans for drip coffee. Now that you have all the needed materials within reach, begin brewing. Prepare your coffee and hot water. Place the filter inside the top of the Chemex. Rinse the filter with hot water. Holding the filter in place, tip the vessel over and dump the water out. Pour the hot water. There are four stages of pouring. Scroll down to see those pouring techniques. Allow the water to drip into the bottom of the vessel completely. It is time to add some art to the process. How do you make your Chemex coffee the best cup of coffee yet? The scale underneath your Chemex is not merely there to trick your friends into thinking your coffee making skills are best. Although, it may still impress them. It is also not there to be intimidating. Rather, use your scale as you pour water to determine how much water to use and how fast to pour. Pour just enough water to wet the filter. ​Zero your scale. Start the timer. Pour water until it reaches 150 grams. Stir. The perfect pour should not hit the sides of the filter. Instead, aim to fully and equally immerse all the grinds in water. You may notice an expansion of the coffee after the 1st Pour. This expansion is called “the bloom.” During the bloom, hot water releases trapped gases inside the beans. Besides how it looks, you will also notice this phase because of how it smells. After the coffee blooms, pour slowly, using a cylindrical motion. The entire Chemex coffee-making process should take about four minutes. If you are a coffee connoisseur, you may cringe at the thought of reheated coffee. However, the Chemex will store your brew well while you finish your first cup of the morning. The vessel can be placed directly on the stovetop for easy reheating. The most common type of filter for the Chemex is a paper filter. These filters are up to 30% thicker than drip coffee filters. They are designed this way to create a cleaner cup of coffee, rid of unwanted chemicals and grinds. Paper filters are available in circles or squares, pre-folded or unfolded. If you choose to buy an unfolded version, most come with detailed instructions on how to fold. The shape of the filter makes little difference. Some find the pointy edges of the square filters, which never are heated, easier to pick up and throw out than the submerge circular filters. Considering trying a new type of Chemex filter? The type of filter you use in your Chemex can greatly impact the taste of your coffee. Cloth filters, in addition to requiring careful cleaning and storage, are frequent culprits for adding a taste of their own material into your morning cup of coffee. Metal filters, meanwhile, allow more particles and oils to slip through than their paper counterparts. For the cleanest cup of coffee, the paper filter remains a strong first-place contender. Use bleached filters, if possible, as unbleached filters add a papery taste to your otherwise perfect cup. 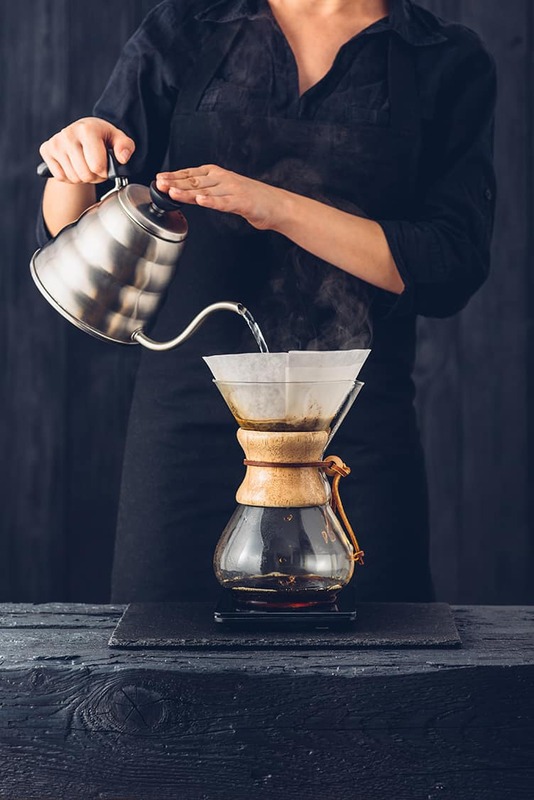 No matter the type of filter, always start the pouring process by rinsing with hot water to get rid of anything that may dilute the coffee you are making. Now that you are tempted by the sound of a clean, full-body type of coffee, it’s time to make an investment. Classic vessel shape with wooden collar and leather tie. Classic vessel shape but with a handle. No wooden collar or tie. Classic vessel shape with wooden collar and tie. Made of durable, non-porous Borosilicate glass. 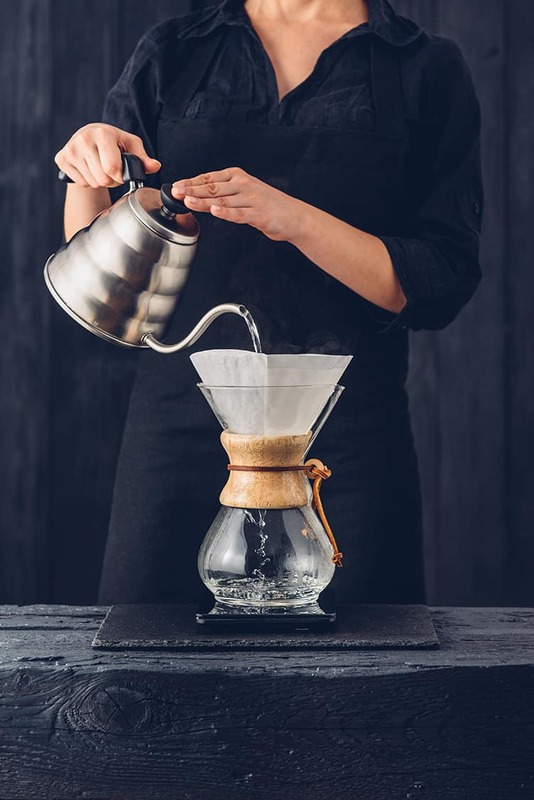 If you are looking for extreme affordability, there are a small number of other knock-off brands that sell Chemex-style products online. These products begin at around $15. Now that you have a shiny new Chemex on your kitchen counter, ensure that it has a long life by cleaning it thoroughly and regularly. After each brew, discard grounds and rinse the vessel. 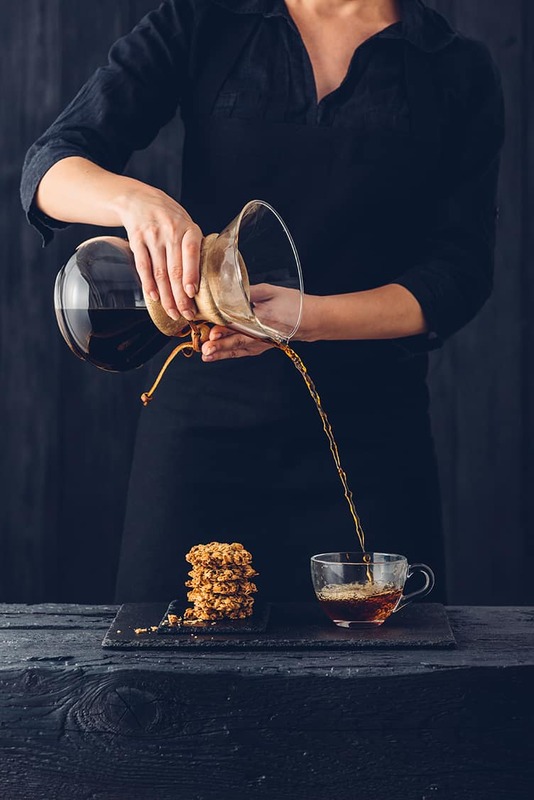 Place in your Chemex a handful of ice, two spoonsful of salt and a few drops of liquid dish soap. Swirl these three ingredients around until a froth forms. This mixture will strip the glass of any coffee oils or sediments. When brewed correctly, the Chemex has a knack for bringing out the best flavors in any type of coffee. Though light roasts have a strong reputation for inviting different notes to shine through, you can brew dark or light and experience a full-bodied taste you will come to prefer. If you have yet to fall in love with the Chemex, use your favorite locally-roasted, freshly-ground coffee and prepare to be impressed.